Forming in 1994 under the moniker Burn the Priest, Lamb of God have released 6 studio albums, a live album and three DVD’s. They’ve supported some of the biggest names in metal such as Motorhead, and toured the world several times over under their own headline banner. Lamb of God have come a long way over the years and have firmly placed themselves as one of the top metal bands of the last decade. 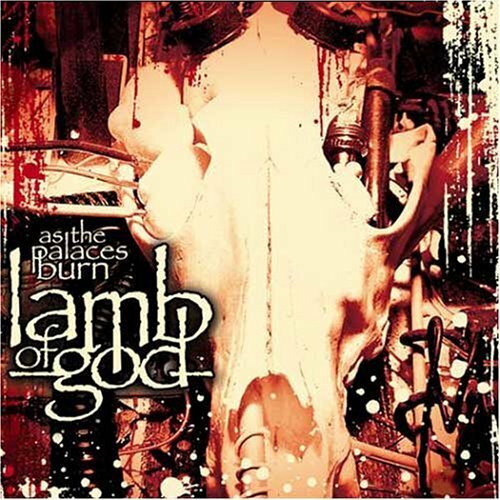 I debated whether to include this or not as it’s technically not Lamb of God in name, but decided it was relevant as the only current band member missing was guitarist Willie Adler and occasional tracks are still played live. It’s a vital piece in the history of the band though and deserved to be included. Burn The Priest is pretty rough. It’s not the most listenable material now due to the pretty poor recording compared to recent releases, but the fundamentals of the bands sound are here to be found albeit in unrefined form. The technical skill from later releases isn’t missing exactly, but nowhere near as impressive as later albums. You can hear elements of later records in this early prototype, especially where the drumming is concerned, although it does sound a little too tinny for my liking. The difference in vocal is particularly noticeable as it’s pretty much just straight screaming and howling and it’s difficult to pick out any lyrics other than ‘mother-fucker’ here and there. But it was the beginning, and you gotta start somewhere, right? It might be rough, but it’s certainly not without merit. Opening track “Bloodletting” is still one of my favourite songs today. Most of the tracks are around the two minute mark and are quick and angry and are over almost as soon as they start. It’s not the greatest record in the world, but you can do a lot worse with 40 minutes to spare. Follow up New American Gospel is a lot like Burn The Priest in its overall sound style although the length of songs and their structure has changed a lot with most being over the 4 minute mark. I’d say that this really sets out the blueprint for a lot of later material. Despite being released only a year later it’s a much better record. The difference in recording quality is instantly noticeable on the albums opening track and live favourite “Black Label”. Vocal is still heavy on the indecipherable wailing, but there’s more range in the screams and some gut-wrenching growls. Overall production is considerably better with the tinniness gone from the drumming revealing a much more clear and crisp sound that really begins to let you hear the true talents of Chris Adler. I really like this record. It’s the roots of a band that I’ve really enjoyed listening to over the years and I like to return to this album quite often. It has something that pushes it beyond other albums released at the time – dare I say a certain x-factor before the term was shat on by the soulless corporate types. 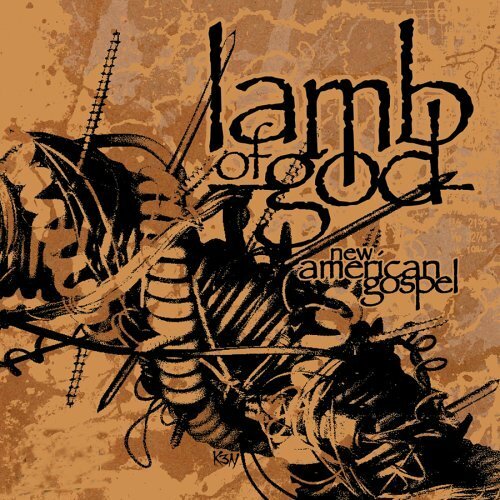 It’s definitely one to check out if you’re only familiar with Lamb of God’s later works, but be prepared to be surprised by how different it sounds. For me, this is where Lamb of God move into their own territory and become a true force to be reckoned with. 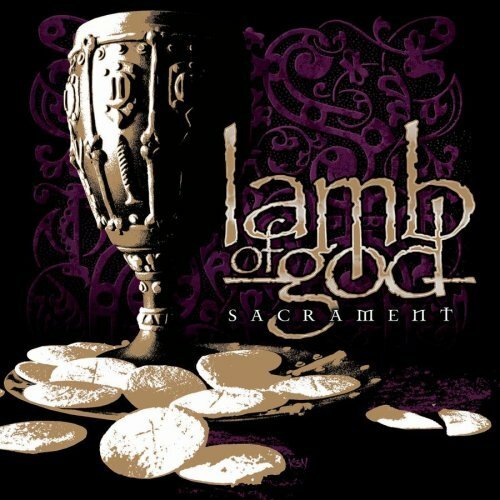 From this album onwards when you hear even a snippet of a song, be it a growl, a drum fill or a riff, you can recognise it as being Lamb of God. It’s a difficult thing to be part of an established genre and yet unique enough that you can be picked out from the crowd on only a few notes. Eschewing any sort of introduction, opener “Ruin” just blasts into life and is stunning. It runs straight into the next track without even a pause for a breath and doesn’t relent until final track “Vigil”, which despite a slow start remains one of my favourite tracks of all time. The pace of the album results in it being just shy of 40 minutes and over all too quickly. Luckily though, it’s so damn good it’s more than welcome to let it loop and enjoy all 10 tracks over again. Most notably, vocal is clearer now yet without losing any of the power and authority from before. Lyrics are listenable without any detrimental effects. There are some great solos and drumming, again reinforcing Chris Adler’s excellent skills. There are also the odd post production tid-bits like the final crash of “Ruin” that runs into the eponymous second track but these enrich the experience rather than being superfluous. Add to playlist: Ruin, As the Palaces Burn, 11th Hour, A Devil in God’s Country, Vigil. Actually, just add all of it. Fourth album Ashes of the Wake continues very much in the same vein as Palaces. It’s only a year apart and like the first two albums in this article are cut from the same cloth, although Ashes is a good twenty minutes longer. Again, it’s a brilliant record from start to finish. There’s more in the way of solos this time round too although not too many as to become a clichéd growl-growl-solo song template. I think it’s the whole band sound that makes Lamb of God such a successful outfit even though every member is a master of their chosen instrument. Like its predecessor, Ashes opens with a superb track, “Laid To Rest”. It’s not quite as in your face as “Ruin” is, but it’s no less awesome a start. Again, the pace is viscously fast with some awesome fret work on the guitar. Take a look on Youtube for the band showing you how to play some of the songs. Even in what’s supposed to be them playing slowly, the technical skill here is astounding. 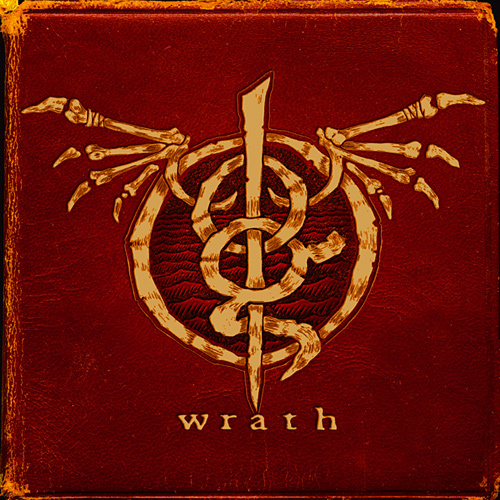 Fifth track “Omerta” is a highlight of the album and the entire Lamb of God catalogue. Starting with a short spoken section, it’s a brooding, menacing and threatening song as befits its lyrical content about the Mafioso code of silence. Like the aforementioned “Vigil” it’s a song of two halves, changing half way through from the threat to the violence. 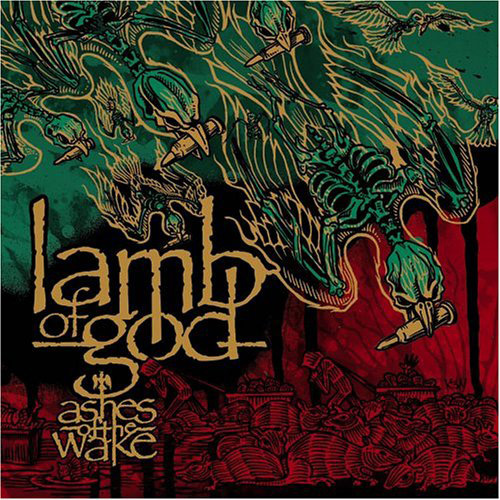 Penultimate track “Ashes of the Wake” is instrumental for the most part and features snippets from an interview with a US Marine detailing some poignant experiences of his time in Iraq. It bleeds into the final track resulting one of the best album closes I’ve ever heard. To me Sacrament marks the beginning of a third chapter in the bands musical progression. This album isn’t as raw as anything that’s come before, although that’s not to say that it’s lacking. It still has the anger you expect, yet it’s much more refined and contained, like the fury has a target instead of just unadulterated lashing out. There’s a lot more production polish here making everything sound much cleaner and crisper. There’s a noticeable change in vocal again in that it doesn’t sound quite so vitriolic and has more fiddling on it such as distortion effects that were never there before. It’s like Randy’s put in a lot of practice and lost the raw edge, which I think is both an achievement as it’s more controlled and varied, and a bit of a shame at the same time as it doesn’t have the same oomph. As much as I love the vocal in the last two records, it wouldn’t fit the overall improvements in the recording and music and so the progress is welcomed in the end. Everything is sharper on Sacrament overall. Guitar is excellent with a fair few solos that sound superb. There are also some great songs that retain the unique band fingerprints on them. Still no duffers or fillers here which 5 albums into a career is a hell of an achievement. I will confess though that in the end, as much as I like Sacrament, I must admit I still prefer to listen to the last two records before this. Finally we have 2009’s Wrath. I was expecting a lot from this album, and boy I wasn’t disappointed. It opens with a two minute instrumental which I thought was quite odd, but it does actually fit rather well and leads straight into the first track proper. The vocal feels a little over polished to me again, though I suppose I’ve got used to after Sacrament, but the overall music is excellent. There’s a bit more quick-fire blast drumming on this album and a little less solo work and it all sounds great. I’m no musician, purely a consumer and I do really enjoy this although I do find myself leaning toward the earlier material. Interestingly my brother who is a multi instrument playing musician reckons this is the best album they’ve ever put out. I guess he see’s more technicality in it and can appreciate it from that point of view. Me, I just love the metal. There are some magnificent songs on here mind you. “Set To Fail” and “Contractor” in particular are back to back highlights, and “Grace” is something special indeed, starting with a beautiful intro that offsets the rest of the song perfectly. And last but not least, here’s that advert I mentioned. Unfortunately the quality is awful as it’s an old video, but it’s still a bit of fun.